WD RED PRO. BUILT FOR LARGER NAS. Equip your larger NAS with WD Red Pro hard drives to keep up with the speed of your business and easily integrate with your existing network infrastructure. Add value to your business by enabling your employees to quickly share their files and back up folders reliabily with WD Red Pro NAS hard drives. 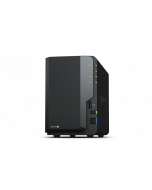 A multi-axis shock sensor automatically detects subtle shock events that may occur in larger NAS environments and when combined with dynamic fly height technology, helps to adjust each read-write function to compensate for increased vibrations and protect data. Desktop drives aren't purpose-built for NAS. 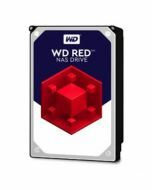 But WD Red Pro drives with NASware 3.0 are. Our exclusive technology takes the guesswork out of selecting a drive. We can help you find the perfect storage for your NAS system.